Antonia Hayes » Daily Life: Why is it so hard to make friends as an adult? Daily Life: Why is it so hard to make friends as an adult? 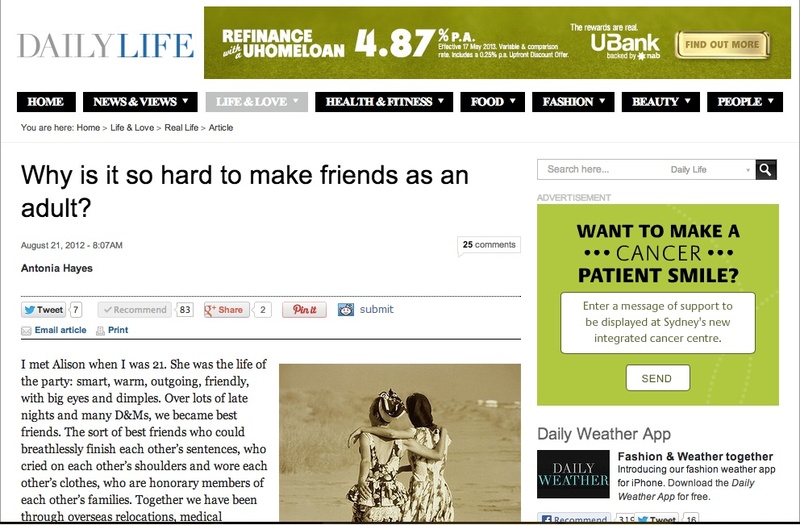 Opinion piece for Fairfax website Daily Life on why it’s so hard to make friends as an adult.